Get the experience of a citizen data scientist by training and testing a machine-learning model without any coding. Explore the key capabilities of IBM SPSS Modeler including how to connect and prepare data sources. Working with IBM customers, Forrester identified and quantified key benefits of investing in the IBM Data Science tool. Find out how SPSS Modeler accesses a variety of data sources and merge them. Learn how SPSS Modeler manipulates data in a stream and prepares it for analysis by cleaning and processing the data. 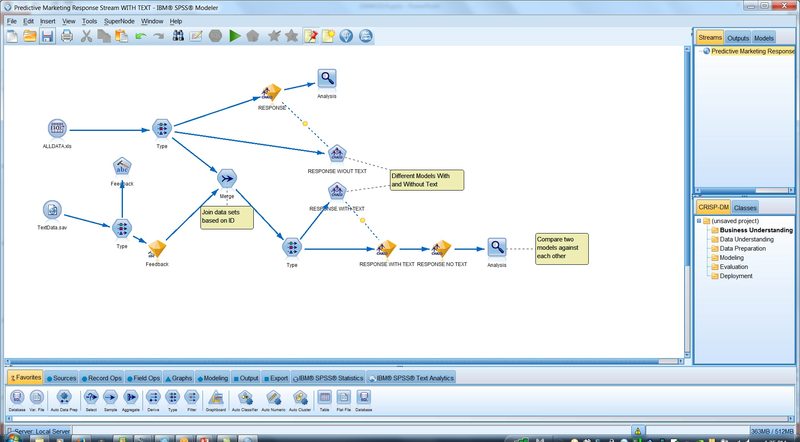 SPSS Modeler automates techniques that allow it to arrive at certain conclusions, thereby removing much of the guesswork. SPSS Modeler can help put models developed and validated to use, yielding better decisions and improved business outcomes. A commissioned study conducted by Forrester Consulting to study data science users. Explore the predictive analytics platform that brings predictive intelligence to decision-making. See how R and SPSS work together to enhance your insights. IBM SPSS Modeler users share their experiences and offer insights for data science and machine learning.